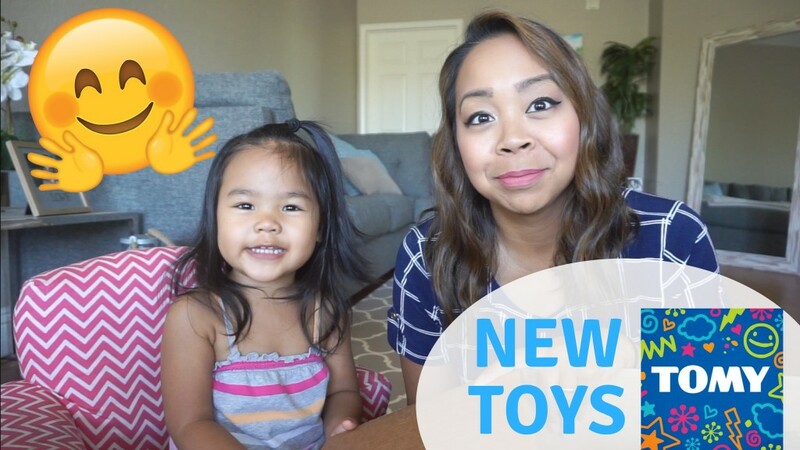 You are here: Home › baby › UNBOXING NEW TOMY TOYS WITH MY 2 YEAR OLD & GIVEAWAY! *Tomy Toys sent me these items to review and host a giveaway. This was a fun video to film alone with Colby, now that’s she older and talks so much! We got a box of new goodies from Tomy Toys and are hosting a giveaway too! 2 Responses to "UNBOXING NEW TOMY TOYS WITH MY 2 YEAR OLD & GIVEAWAY!" I would love the trucks for my soon to be 1 year old.